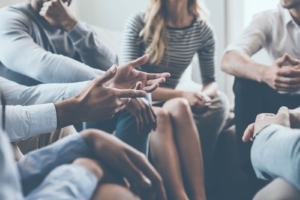 Because chronic kidney disease usually happens over time, it is important that those at risk be diagnosed early so they can take steps to help prolong their kidney function and hopefully prevent end stage renal disease (ESRD) or kidney failure. 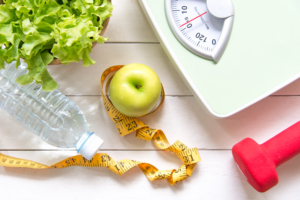 According to the Centers for Disease Control and Prevention (CDC), the risk factors for developing chronic kidney disease (CKD) are often related to other health issues and diseases, especially diabetes and high blood pressure. But obesity, cardiovascular disease and other genetic components, as well as smoking, gum disease, and untreated urinary tract infections are also risk factors. 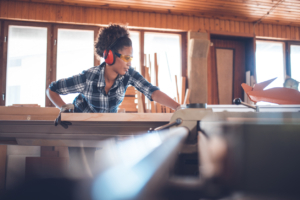 Environmental and occupational toxins may also provide an increased risk for CKD, but those potential risks are still being investigated. And approximately 5% of the people with CKD have no known risk factors. 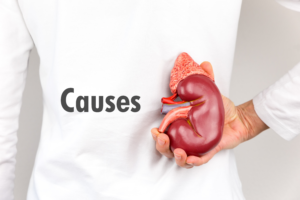 There are a number of conditions and diseases that have a mild or high risk for kidney disease. Below are some of the more common ones, but always ask your doctor if your condition could lead to kidney disease and what steps you can take in the process. If you have a disease that has a higher risk for kidney disease, ask your doctor to do a “kidney check”. Acute kidney failure is when the kidneys suddenly lose the ability to filter waste products from the blood. When this happens, unsafe levels of toxins can build up, and the body’s chemical makeup can get out of balance. It develops rapidly within a few hours or a few days, and is most common in those already in the hospital. It can be fatal and needs thorough treatment, but may be reversible. 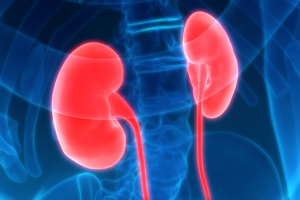 If you’re in generally good health, you may recover normal or nearly normal kidney function. There’s a sudden, serious drop in blood flow to the kidneys. Heavy blood loss, an injury, or a bad infection called sepsis can reduce blood flow to the kidneys. Not enough fluid in the body (dehydration) also can harm the kidneys. 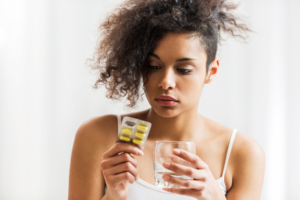 There’s direct damage to your kidneys from medications or injury. There’s a sudden blockage that prevents urine from flowing out of the kidneys. Amyloidosis is a condition that occurs when amyloid, an abnormal protein, accumulates in your tissues and organs, affecting their shape and their function. There are several types of amyloidosis all of which can affect the kidneys. 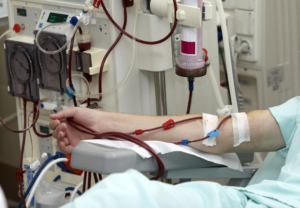 Patients who are on dialysis are at risk for amyloidosis if treatment isn’t removing large proteins from the blood. Dialysis-related amyloidosis develops when the proteins in the blood are deposited in joints and tendons, typically affecting patients on long-term dialysis. It is a serious health issue that can lead to organ failure. Amyloid build-up in the kidneys can make it difficult for them to do their job. Anemia is a condition where your body does not have enough healthy red blood cells. This hormone helps the bone marrow to produce the amount of red blood cells that the body needs to carry oxygen to vital organs. When kidneys are healthy, they make a hormone called erythropoietin. When the kidneys are damaged, they often do not make enough of this hormone. As a result, the bone marrow makes too few red blood cells. Anemia often develops in the early stages of kidney disease and gets worse as kidney disease progresses. Your doctor can check whether you have anemia by testing the hemoglobin (Hgb) in your blood. Hemoglobin is the part of your red blood cells that carries oxygen to the rest of your body. 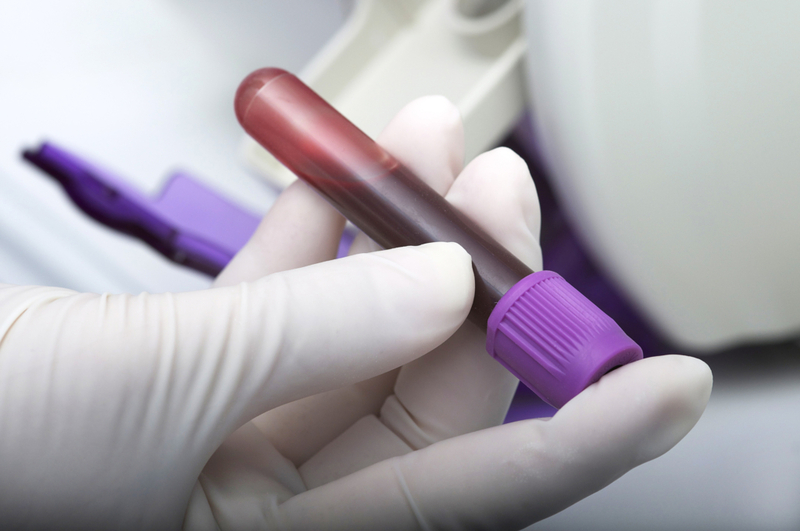 The test for hemoglobin can also tell your doctor how your anemia treatment is working. Autosomal recessive polycystic kidney disease (ARPKD) is a rare genetic disorder in which fluid-filled sacs (cysts) form in the kidneys. Symptoms include high blood pressure, excessive thirst, frequent urination and feeding difficulties. In infants, enlarged kidneys can occur during the newborn period and some can be fatal. Additional organs can also be affected by this disorder, particularly the liver. Some children affected by it can also have distinctive facial features and incomplete development of the lungs. The severity and symptoms of the disorder can vary greatly. Some affected children eventually develop end-stage renal disease sometime during the first decade of life. In some cases, symptoms do not appear until adolescence or even adulthood. ARPKD can lead to chronic kidney disease, which can lead to ESRD. Cardiovascular Disease (CVD) means that there are problems with the heart and/or blood vessels. Most people are not aware that kidney disease raises the risk for CVD. This is very important because conditions like diabetes and high blood pressure are known to be leading causes of CVD. These conditions damage blood vessels and organs like the heart, leading to CVD. 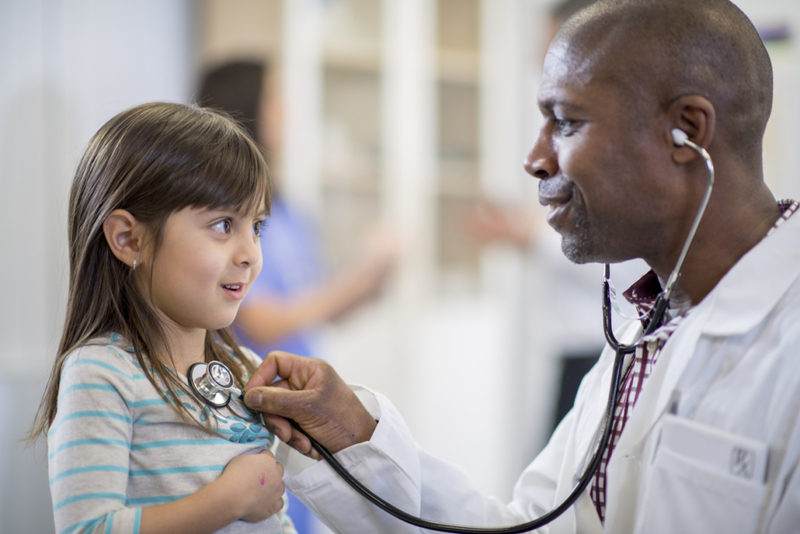 Because of this connection, CVD is common in people with Chronic Kidney Disease (CKD) and heart disease is the leading cause of death for people with CKD. One problem that can happen early in Chronic Kidney Disease (CKD) is called CKD-MBD (Chronic Kidney Disease-Mineral and Bone Disorder). This condition is impacted by how the body balances two minerals, calcium and phosphorus. CKD causes increased phosphorus in the blood, triggering 4 small glands in the neck, called the parathyroid glands, to produce parathyroid hormone (PTH). Due to the increase in phosphorus, PTH tells the body to move calcium out of the bones and into the blood stream to help balance the amount of phosphorus and calcium in the blood. If PTH production stays high the body will keep taking calcium out of the bones, causing them to become weak and brittle. Vitamin D hormone produced by the kidneys helps to lower PTH and help balance calcium. Decreasing the amount of phosphorus in the food you eat may also be important. Talk to you your healthcare team about the need for prescription vitamin D and whether you need to be on a low phosphorus diet. Calcium that was pulled out of the bones will settle into bone-like deposits. These deposits can “harden” blood vessels and damage organs like the heart, causing CVD. High blood pressure is the second leading cause of Chronic Kidney Disease (CKD) because it can damage blood vessel walls over time. This can decrease the amount of oxygen that can get to organs like the kidneys and heart. The high pressure can also damage the tiny filters inside the kidneys which clean our blood. If a person with CKD develops high blood pressure it is more likely that their kidney disease will get worse and they will have heart problems – Cardiovascular Disease (CVD). Anemia occurs when there are not enough red blood cells (RBCs) to carry oxygen to organs and cells. Healthy kidneys produce a hormone called erythropoietin (EPO) which helps to produce red blood cells. Damaged kidneys make less EPO so people with CKD produce fewer red blood cells and less oxygen is carried. This causes the heart to work harder to circulate the oxygen needed by the other organs and cells which can cause CVD. Abnormal calcium and phosphorus levels can lead to CKD-MBD (chronic kidney disease mineral and bone disorder). Early in CKD there can be changes in how the body balances calcium and phosphorus. Extra phosphorus and calcium may be removed from the bones and be deposited in blood vessels and organs. These bone-like deposits (calcification) damage blood vessels and organs like the heart, leading to CVD. Fluid overload is caused by kidneys that are no longer able to remove all of the extra fluids from our bodies. Because there is more fluid to pump, the heart has to work harder and faster. Over time, this increased work load and higher blood pressure weakens the heart and damages blood vessels. 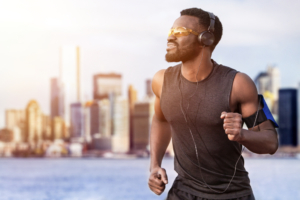 There are some risk factors we cannot control such as age, gender, ethnicity, having Chrnoic Kidney Disease (CKD) or even our family history, but there are many things you can do to decrease your risk for Cardiovascular Disease (CVD), such as diet and exercise. Practice healthy eating habits. A kidney friendly diet is also heart healthy. Talk to your dietitian for more information about foods that are high in lean protein and low in phosphorus, fat, salt and sugars. Find out how much fluid you should drink every day and stick to it. If your kidneys are not functioning properly, it is very important to limit phosphorus in your foods. Many foods contain phosphorus so talk to your dietitian about menu ideas. Certain medicines may be prescribed by your doctor called phosphate binders. Take these with food to help “bind” excess phosphorus from your foods. 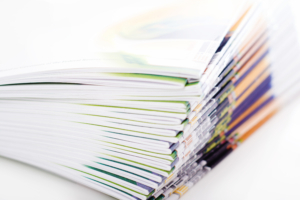 Examples of phosphate binders include Renvela®, Fosrenol®, and PhosLo®. Vitamin D hormone replacements such as Hectorol®, Zemplar® and Rocaltrol® may be prescribed to decrease PTH and provide vitamin D to help your body absorb calcium into the bones. Blood pressure medicine will most likely be prescribed by your doctor to protect both your kidneys and heart. Controlling conditions such as diabetes, high blood pressure and cholesterol will help to protect your kidneys and heart. Work with your doctor and dietitian to keep blood glucose and blood pressure controlled to decrease the risk of blood vessel and heart damage. 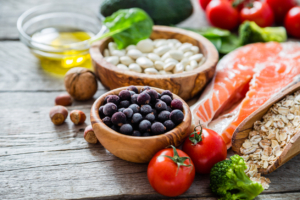 Talk to your doctor and dietitian about diet and medicines to keep cholesterol and triglyceride levels within normal limits to prevent plaque buildup. Don’t forget to ask about what kinds of exercise you can safely enjoy. Even mild like walking can help to lower blood pressure. Cystinosis is a genetic condition affecting approximately one in 100,000 to 200,000 newborns where there is a buildup of the amino acid cystine (a building block of proteins) within cells. Having too much cystine can damage cells and result in the formation of crystals, which can accumulate and harm organs. Many organs can be affected by cystinosis, but kidneys and eyes have the greatest risk for being damaged. Read more about cystinosis on the National Institutes of Health website. Diabetes is a disease that affects a person’s blood glucose, or sugar levels. There are two types of diabetes, Type 1 and Type 2. Type 1 diabetes occurs when the pancreas does not make insulin, this is usually diagnosed in children. Type 2 diabetes occurs when the pancreas still makes insulin, however it may not produce enough insulin or the body may not be using the insulin effectively. Insulin is an important component in our health, as it is needed to move the energy from the food that we eat to the cells in our bodies. If the body does not have enough insulin to move the sugar into the cells, then the sugar (glucose) will stay in the blood and can cause damage to the blood vessels. If this blood vessel damage occurs in the kidneys it is called nephropathy (nef-ra-pa-thee), which over time can lead to kidney disease and kidney failure. People with diabetes have a greater risk of developing serious problems with their kidneys. 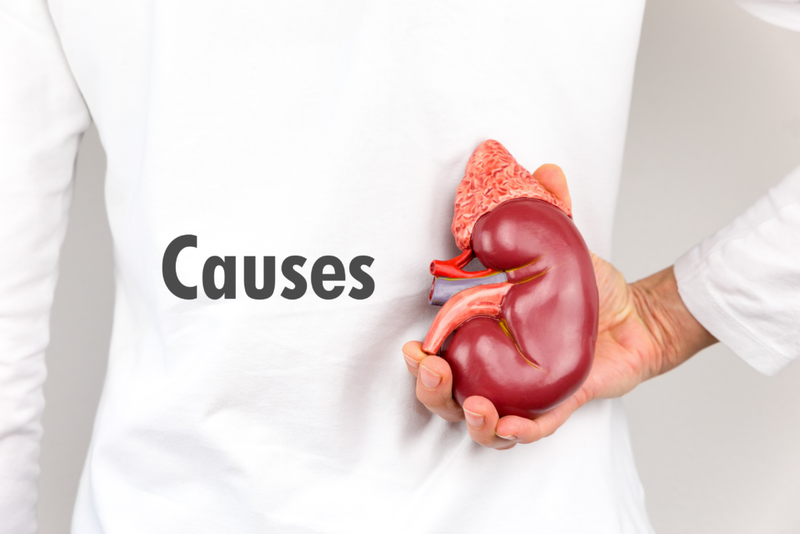 In fact diabetes is one of the leading causes of CKD. Even though a person with diabetes is at a higher risk of developing CKD, this does not mean that every person with diabetes will end up with CKD. Maintaining a healthy lifestyle can help keep your diabetes under control and delay or even prevent kidney disease. Fabry disease is an inherited, progressive disease that is caused by genetic changes or mutations in the GLA gene that lead to reduced levels of the enzyme alpha-galactosidase A (AGA) in the body. Without enough AGA enzyme, specific molecules in the body that should be broken down instead build up in such a way that the blood vessels all over the body become narrowed. 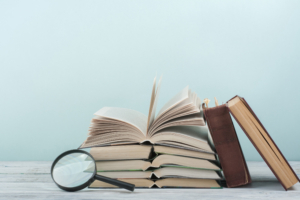 It affects both males and females and there are two main forms of Fabry disease: a severe “classic” form which impacts health beginning in childhood and a “non-classic” form that leads to early kidney and heart disease but does not start in childhood. There is a blood test to test for the disease. For children who have Fabry disease it often starts with stomach pain, overheating, and invisible burning pain in their hands and feet. Later, there may be protein in the urine (proteinuria) and a slow heartbeat (bradycardia) potentially leading to renal failure, serious heart issues and other conditions as an adult. Focal Segmental Glomerulosclerosis (FSGS) is a rare disease that is characterized by scarring in the kidney filtering units, or glomeruli, which can lead to permanent kidney damage and even kidney failure. 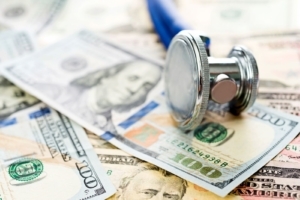 Early symptoms of FSGS include proteinuria, edema, hypertension, low blood protein, and high cholesterol. 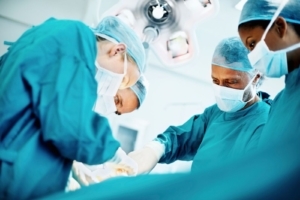 FSGS can only be diagnosed through a kidney biopsy. Glomerulonephritis (glow-meh-rul-on-nef-fritis) is a kidney disorder that causes inflammation in the small blood vessels of the kidneys, or the renal capillaries. It interferes with the kidney’s ability to remove waste products from the blood. It can be caused by an infection or an autoimmune disease. Symptoms can include protein and blood in the urine and swelling. Treatment involves medication, such as antibiotics. 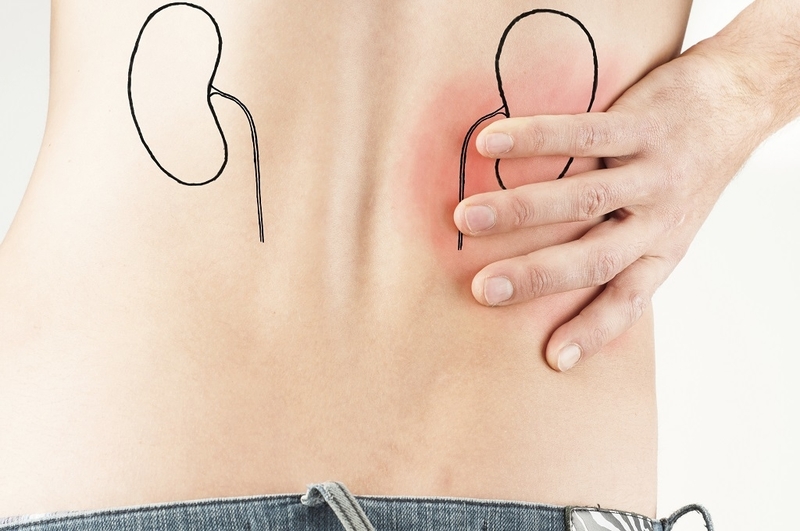 If left untreated, it can cause severe chronic kidney disease. Blood pressure is the measure of how much pressure or force your heart needs to exert in order to push your blood through your blood vessels. High blood pressure, or hypertension, is a serious medical condition in which the force needed to move the blood is too high, making the heart work extra hard. Hypertension is one of the top causes of CKD. When blood pressure is too high, it can cause the walls of blood vessels to thicken and become stiff, and can also damage other organs throughout the body. Kidneys have dense blood vessels and large amounts of blood flow through them. Over time, the arteries can narrow, weaken or harden because of uncontrolled high blood pressure. Eventually, the damaged arteries cannot deliver blood well to the kidneys, resulting in kidney damage. IgA nephropathy, an autoimmune disease, is also called Berger’s disease. According to NIDDK, it is a kidney disease that occurs when IgA deposits build up in the kidneys, causing inflammation that damages kidney tissues. IgA is an antibody—a protein made by the immune system to protect the body, but in IgA Nephropathy, the body’s immune system harms the kidneys by attacking the glomeruli. People with this disease have an increased blood level of IgA with less of a special sugar, galactose, than the normal population. 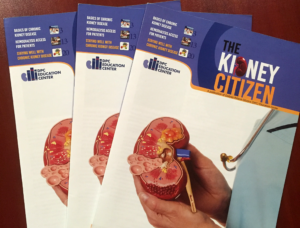 More information can be found at https://www.niddk.nih.gov/health-information/kidney-disease/iga-nephropathy. 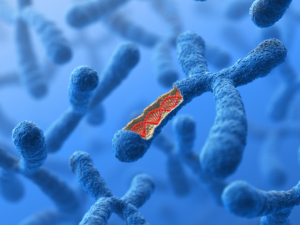 It does seem to have some genetic markers, which means it may run in families. However, it has also been found to be related to the immune system’s response to respiratory and/or intestinal infections. IgA nephropathy also is considered a common kidney disease, but not as common a cause as diabetes or high blood pressure. While high blood pressure is when the force needed to move blood is too much, hypotension, or low blood pressure is when there is not enough force to move blood. Low blood pressure can cause a lack of blood flow to vital organs, including kidneys, causing chronic kidney disease. Symptoms of low blood pressure can vary. 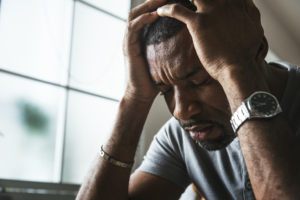 Some of the more common signs are dizziness, nausea, headaches, muscle cramps, and in more severe cases, non-responsiveness, chest pain and loss of consciousness. 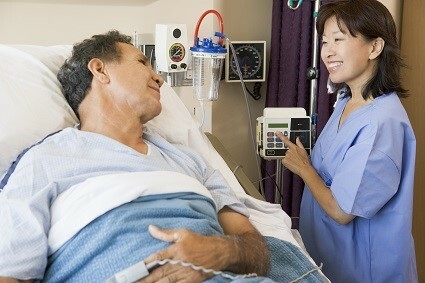 Low blood pressure can also take place in patients during dialysis treatment. As fluid is pulled out of your blood through the dialyzer, the volume of fluid in your bloodstream starts to drop. Your body starts to transfer fluid from the tissue space into your bloodstream. During this process, you may suffer a drop in blood pressure if you don’t have enough fluid in the tissue space to transfer, or if the transfer can’t occur quickly enough. 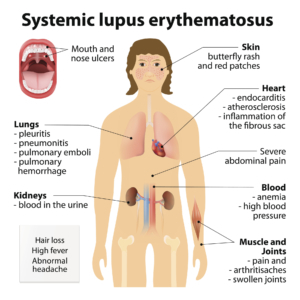 Lupus is a chronic autoimmune disease, meaning the body’s immune system attacks its own cells and organs. It cannot tell the difference between healthy tissue and “bad” germs or viruses. So it creates autoantibodies which attack healthy tissues that can then damage healthy cells and organs. 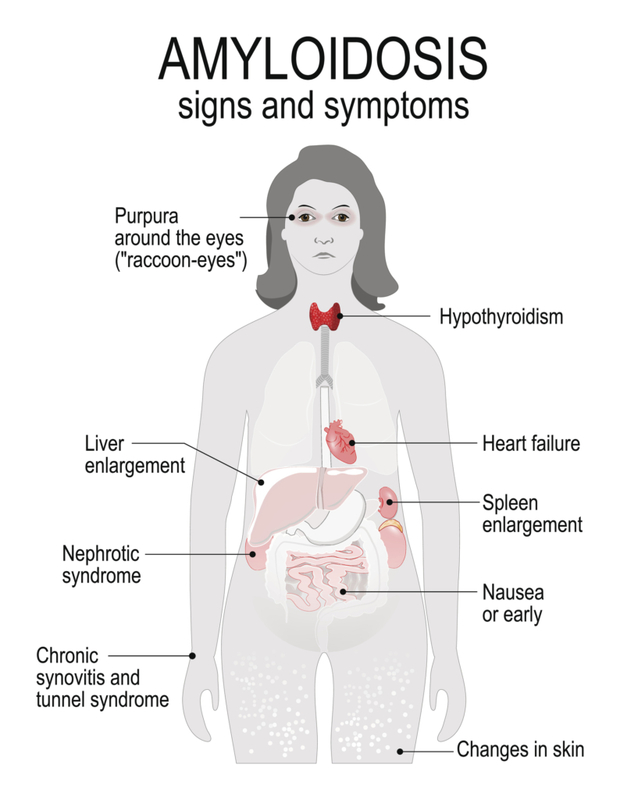 There are many symptoms of lupus that are similar to other illnesses and it affects each person differently. For example, symptoms might include a mild skin rash, painful or swollen joints, an unexplained fever, low blood count, chronic pain and extreme fatigue. 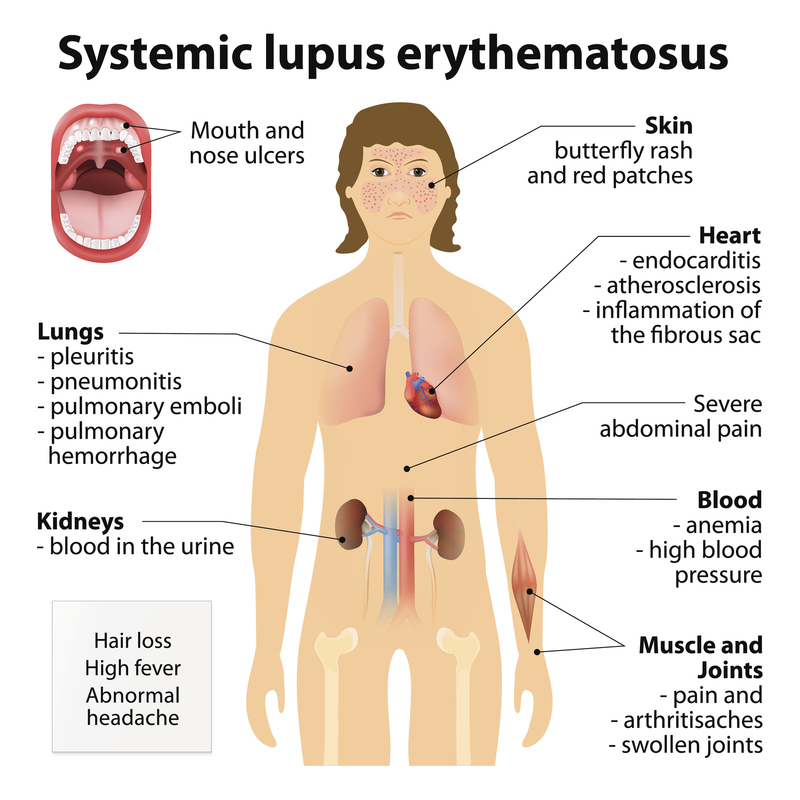 When lupus causes inflammation in the kidneys, and the kidneys can no longer properly remove the waste from the blood or control the amount of fluid in the body, it is called Lupus Nephritis. According to the National Institute of Diabetes, Digestive and Kidney Disease (NIDDK), Lupus Nephritis is a very common cause of kidney disease. It is diagnosed by blood and urine tests to measure proteins and creatinine and/or by a kidney biopsy. 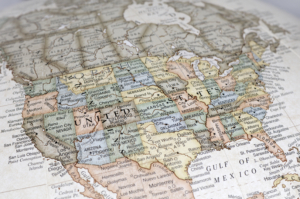 Similar to chronic kidney disease, African Americans, Asian Americans and Hispanics/Latinos are more likely to develop lupus nephritis than Caucasians. The autoimmune nature of lupus, provides additional challenges for people who develop kidney disease. In addition to diet changes, ACE inhibitors and diuretics, people with lupus diagnosed with kidney disease, may also be prescribed a corticosteroid to suppress the immune system. Lupus is a manageable disorder but requires working closely with one’s physician to recognize warning signs to prevent a flare. 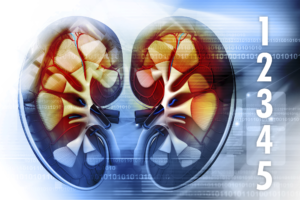 While lupus nephritis can’t be cured, monitoring and managing kidney health once diagnosed can delay the onset of kidney failure. 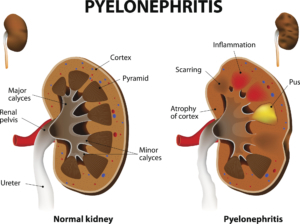 Normal kidney and Chronic Pyelonephritis. Pyelonephritis or kidney infection is a particular type of urinary tract infection. It usually begins in the urethra or bladder and travels up to the kidneys. If not treated properly, this type of infection can cause permanent damage to the kidneys or the bacteria can get into the bloodstream and cause a life-threatening infection. Treatment is usually antibiotics and sometimes requires hospitalization. Renal Cell Carcinoma is the most common type of kidney cancer. It begins in the lining of the renal tubules in the kidney. Most of those affected are between the ages of 50 and 70. It can start as a single tumor or several tumors in a kidney, or can be found in both kidneys. Other terms for this cancer are hypernephroma, renal cell adenocarcinoma, or renal cell cancer. 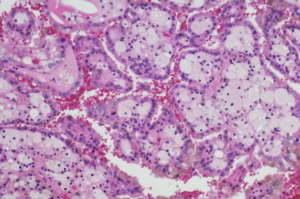 The exact cause of renal cell carcinoma is not known, but smoking and misuse of certain pain medicines can affect the risk of renal cell cancer in addition to having certain genetic conditions. Sjögren’s Syndrome (“SHOH-grins”) is a disease in which the immune system attacks the glands that produce moisture for the body, such as saliva and tears. The damage prevents the kidneys from functioning the way they should and can make the eyes and mouth dry. The disease can cause fatigue and pain in the joints, and in rare cases, affect the lungs, kidneys and nerves. 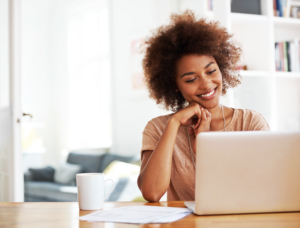 Anyone can get Sjögren’s, but it’s most common in white women who are in their 40s and 50s. The call recording for November is now available! You can view the call in it's entirety below. After viewing the call please feel free to provide feedback.